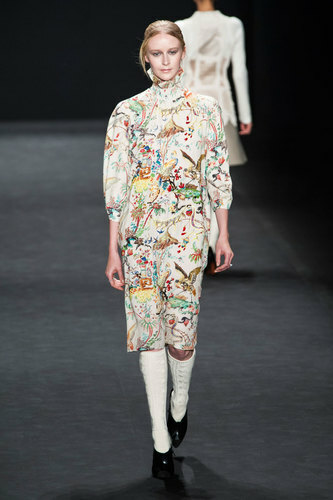 Vivienne Tam Women Autumn-Winter 2015 – Designer Vivienne Tam wanted to exploit her ideas and inspiration (chinoiserie) into modern day fashion by mixing in light and delicate patterns with hard neoprene and mesh (materials often used within Tam’s show). 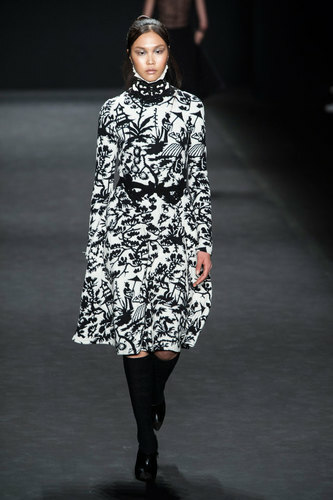 This was perfectly executed, as the synthetic materials, rather than looking cheap and tacky, heightened the collection’s aesthetic – a real crowded woo-er. 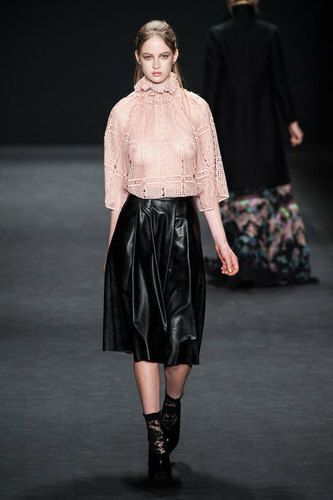 The collection itself consists of simple designs with beautifully fitted cuts, shaping the models perfectly – including a pure mesh ensemble layering a beautiful set of plain black underwear, which gives a certain Addams’ family feel, with a hint of girliness, something that seems to be very popular throughout the New York fashion week this season. 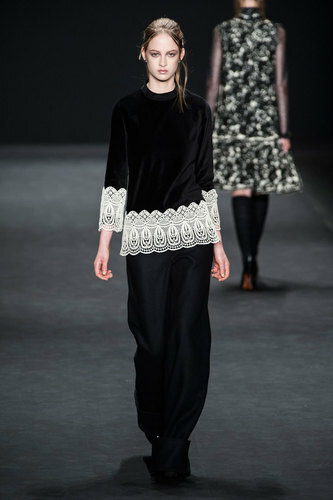 Other parts of the collection include delicate embroidery and embellishment, ruffles galore with cutesy socks (also embroidered with lace) that gives a slight idea of Victorian inspiration. 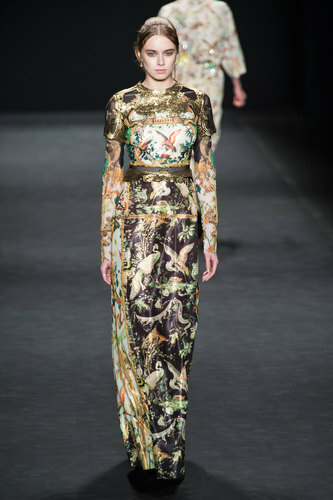 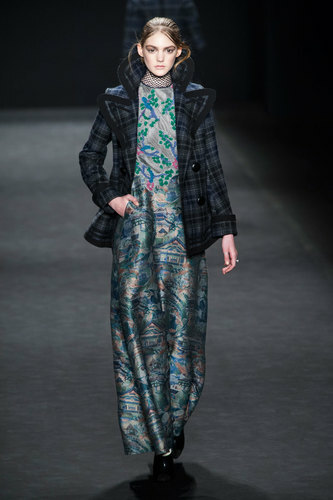 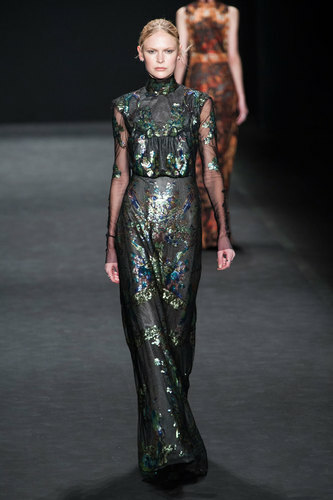 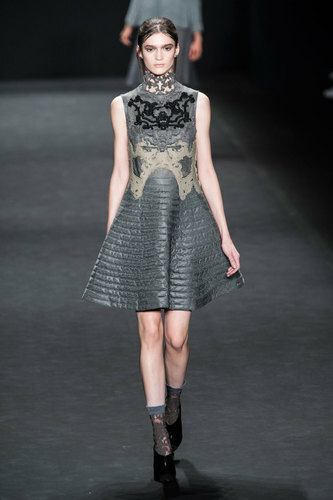 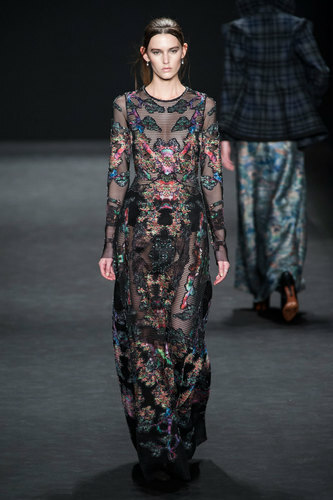 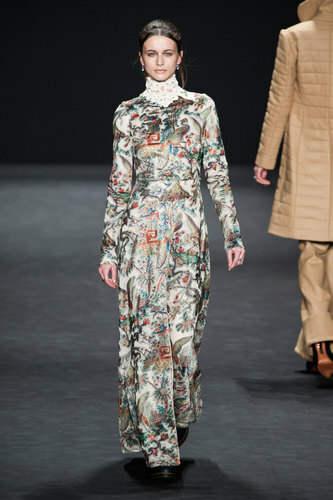 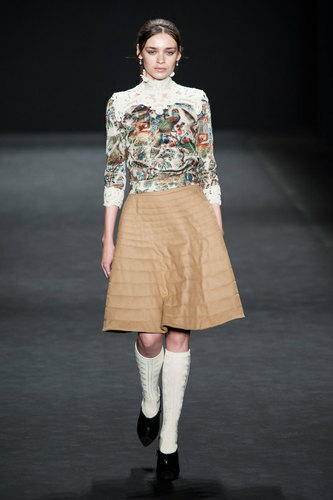 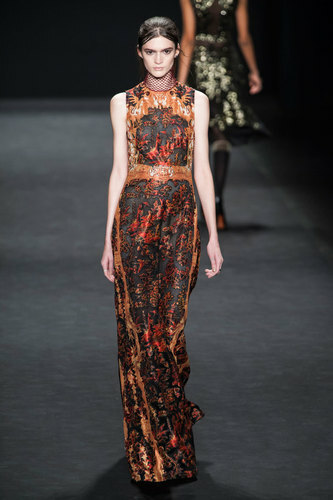 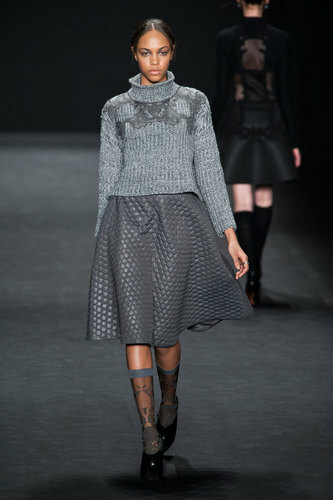 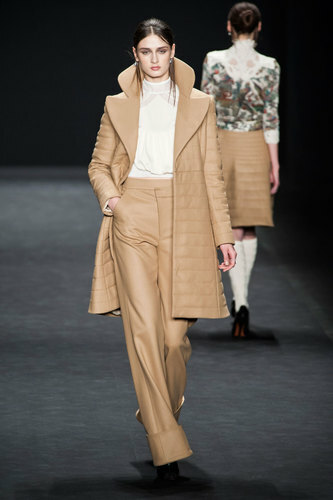 This is shown through the shape of the sleeves, full length skirts and matching co-ords that strut the walk way.